Supplies: My Creative Time Build A Banner; Kaiser Craft Mini Alpha Stickers Cherry Red. It boggles the mind that Christmas is only 6 days out. This year has flown by, our lives have become so busy that we forgot to stop and enjoy most of our experiences this year. 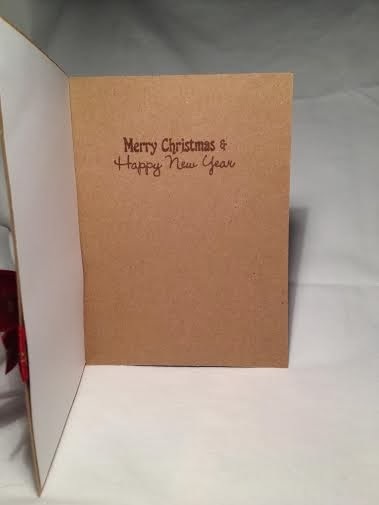 I finally sat down and crafted my first Christmas card. Supplies used: Kelly Purkey's Oh, Dear die, My Creative Time's From Our Family To Yours stamp set and Fancy Frame die set. Hope everyone had and is having a wonderful year so far. I've always enjoyed playing Santa. It is even better when I get to participate in Secret Santa. This is the first year, we (myself & 20 co-workers) decided to draw names for Secret Santa. I love trying to guess who my Santa is but most of the time I never guess right. But it's the fun that counts right? The beginning of this week we gifted small snacks and drinks each day. Today we give our 'big' gift and reveal ourselves. I decided to gift my co-worker a gift card from PetCo ( he requested items for his dog, toys & stuff). 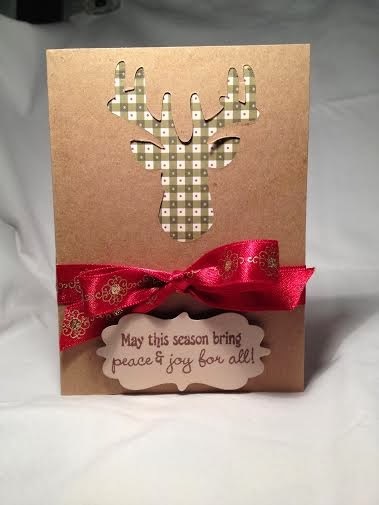 Supplies - My Creative Time: Embossed Gift Card Holder, Warm Holiday Fun Stamp Set, & Christmas House stamp set. We also had an ornament contest, although I didn't win, I liked how mine tuned out. Supplies - My Creative Time's Fun Size Scallop Stitched Bow Die, Martha Stewart's glitter snow & crystal & silhouette cameo for snowflake. Hope you can see the little snowflake inside with all the pretty glitter. Hope everyone is enjoying this chilly weather but staying warm and healthy.